Fatima and Batalha: Spirituality sublimes the human being. Appreciate and, above all, feel. We will take you from Lisbon on a half-day tour to the Sanctuary of Our Lady of Fatima, the fourth biggest Catholic pilgrimage site in the world. Three young cousins, Francisco, Jacinta and Lúcia, aged 7, 9 and 12, were herding their family sheep at “Cova da Iria” when they witnessed the Apparition of the Virgin Mary for the first time, on May 13th of 1917. Before the Apparition of the Virgin Mary they already had witnessed the apparition of an angel in the small village of Valinhos, near the place where they lived. The Apparitions of the Virgin Mary took place between May and October, on the 13th day of each month, during the year of 1917. On the last Apparition, the sixth, about fifty thousand pilgrims witnessed a miracle known as the “sun miracle”. By that time the Sanctuary was already a place of faith and pilgrimage. Built on the same place where the Apparitions took place, the Sanctuary of Our Lady of Fatima has the Chapel of the Apparitions, the great oak tree, near which the Apparitions occurred, a monument to the Sacred Heart of Jesus, the great Basilica of Our Lady of the Rosary and the modernist Basilica of the Holy Trinity. After visiting the entire shrine, we will take you to Batalha Monastery, a World Heritage site. It is one of the most magnificent examples of European Flamboyant Gothic style. Come with us and submerge yourself in sacred! This tour takes place every day. Not included: Food and drinks, unless specified. Tickets to the museum. 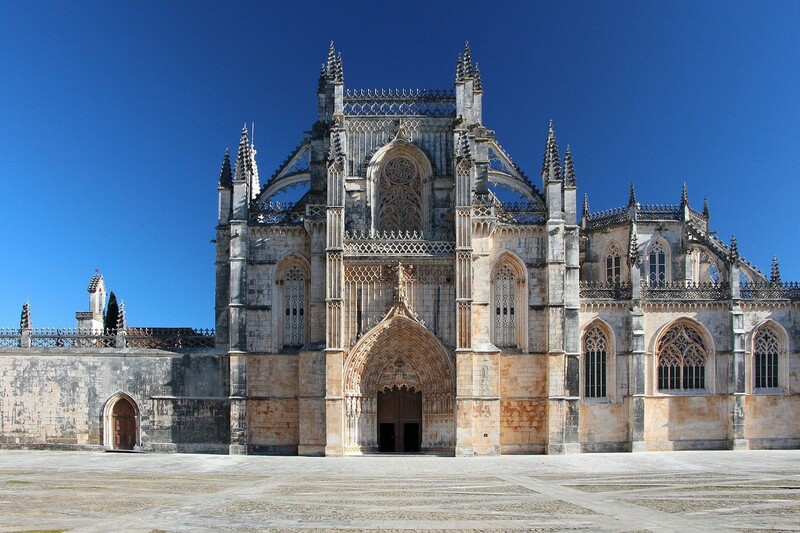 Tickets: Batalha Monastery 6,00€.